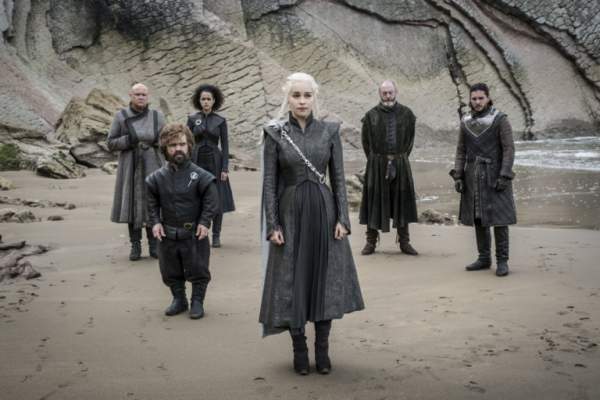 Game of Thrones Season 7 Episode 5 Spoilers, Air Date, Promo: GoT s7e5 is going to air next week and is titled ‘Eastwatch.’ The makers of HBO series are trying to please its audience with the best of action, battles, and blood spills. It will be better than before as it’s the penultimate season of the show. In the last episode of GoT, titled ‘The Spoils of War,’ we witnessed Daenerys frying the Lannister army with Drogon (one of her dragons). Jaime tried to attack Dany, but Bronn saved him from getting fried with the Drogon breathing fire. The next segment will take us a step ahead with the great war inside The Wall. HBO released the trailer for GoT 7x5. We can see Daenerys warning or may be threatening Lannisters to join her or refuse and die. She says that she doesn’t want to take lives, but if they refuse to bend the knee she will be forced to attack with her dragons and armies. In GoT S7E4, Tyrion Lannister advised Daenerys Targaryen to try and find an alternative to war and win the Iron Throne. But, in the trailer, we see Varys counseling Tryion make Daenerys listen to him. He maybe referring to save the mother of Dragons to not to become another ruthless monarch. Meanwhile, Cersei is seen claiming that she is ready to thrash anyone and everyone who comes to claim the Iron Throne. It looks like we are going to face the Cersei vs Daenerys battle sooner than we expected. Check: Dragon Ball Super Episode 103. It seems that they should get ready for the worst. Let’s see if dragon queen will join hands with Jon and let go of ‘bend the knee’ rant. It will be interesting to see how it unfolds. Another interesting thing remains to be seen is how the actual meeting of Daenerys’ dragons with Jon Snow will go. It is just a glimpse of their meeting. The actual story will make or break the anticipated union. Will they identify him as a Targaryen? Their reaction will decide if they really find out if Jon and Daenerys are related. Game of Thrones season 7 episode 5 will air on August 13, 2017, at 9 pm ET on HBO in the US. Stay tuned to TheReporterTimes for latest GoT updates.